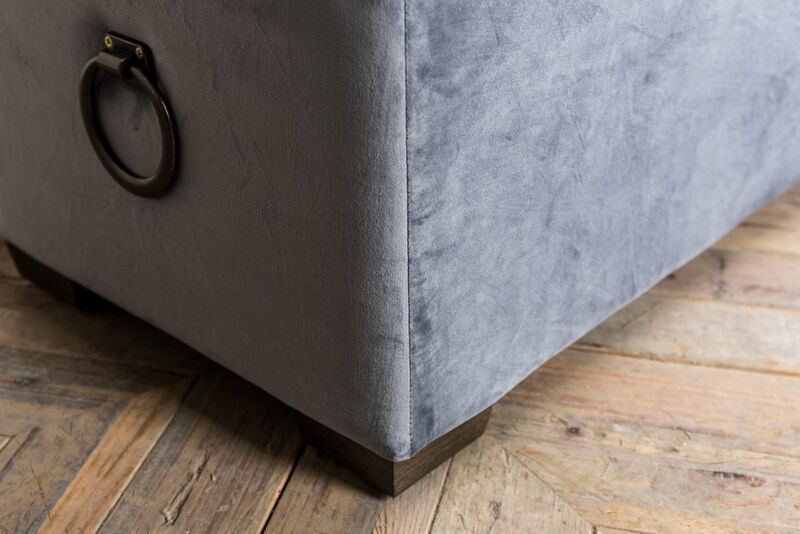 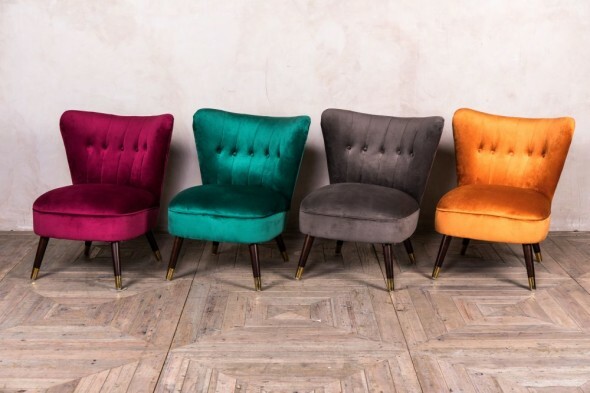 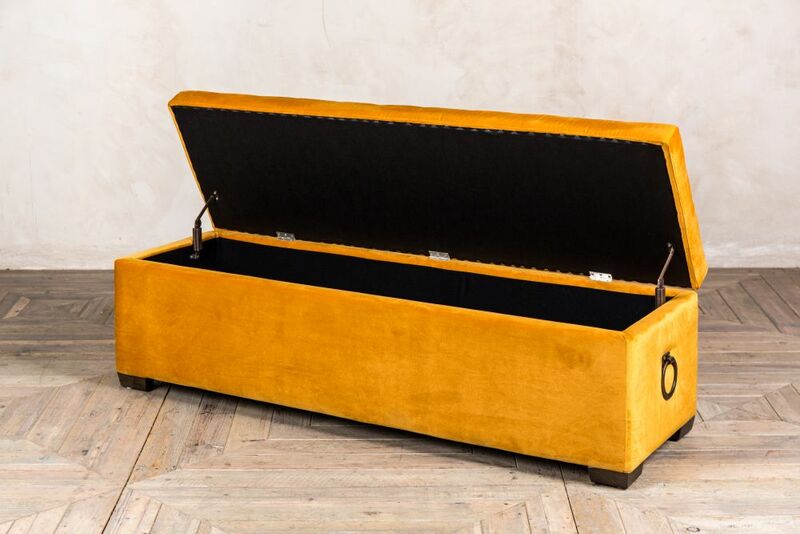 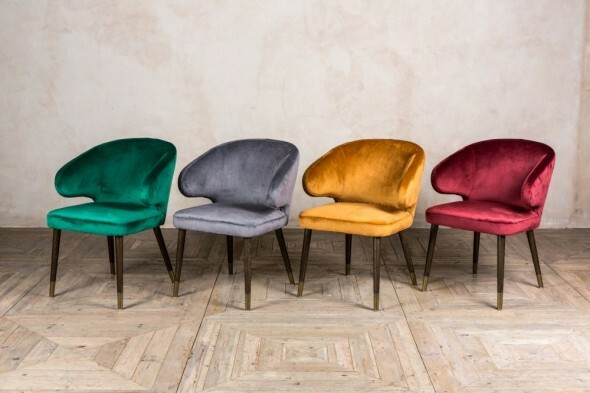 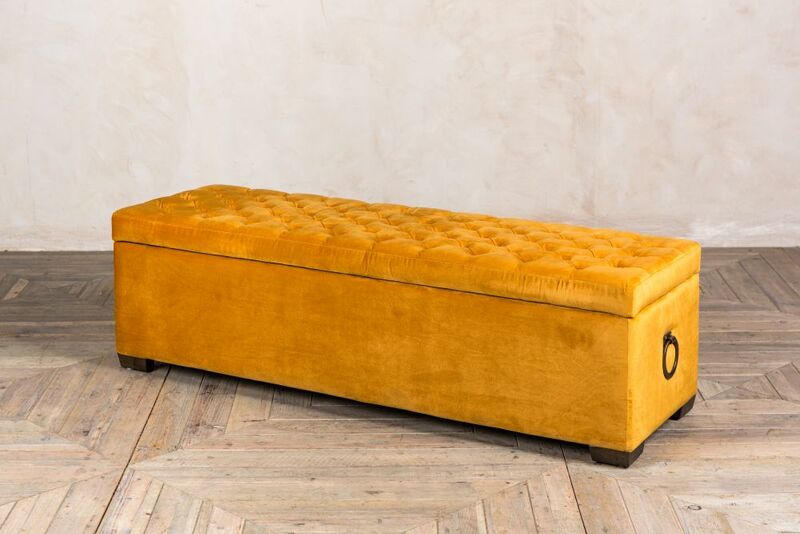 Add this ‘Valance’ velvet blanket box to your interior for a stunning and versatile piece of furniture. 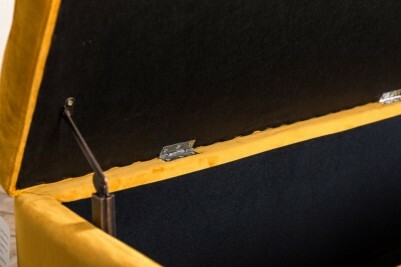 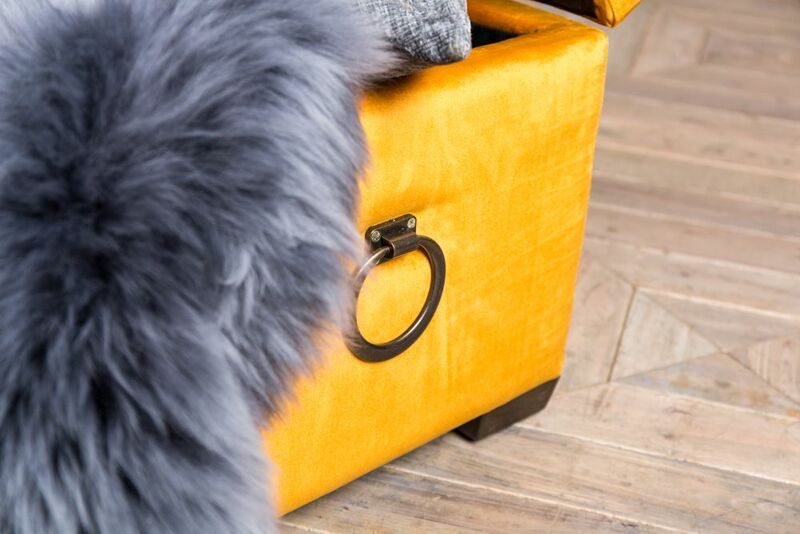 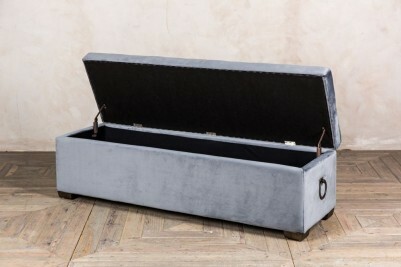 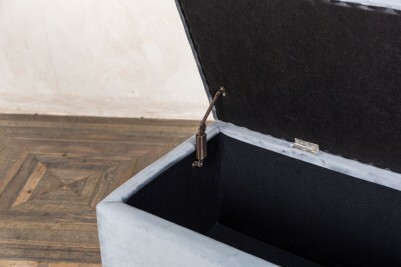 The blanket box is available in graphite and ochre. 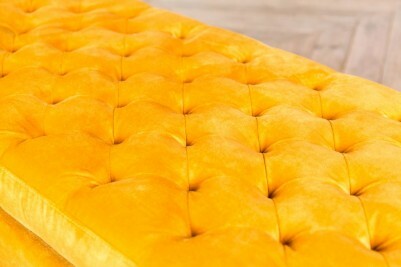 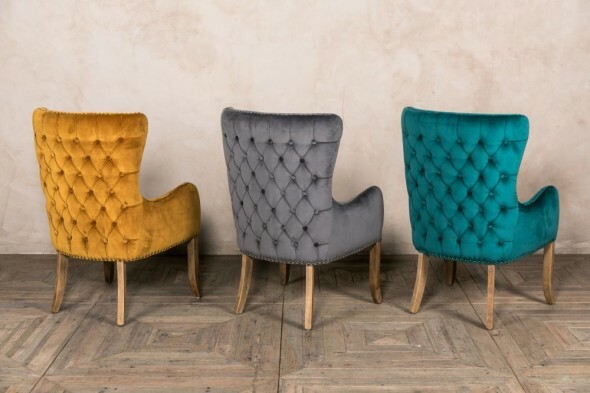 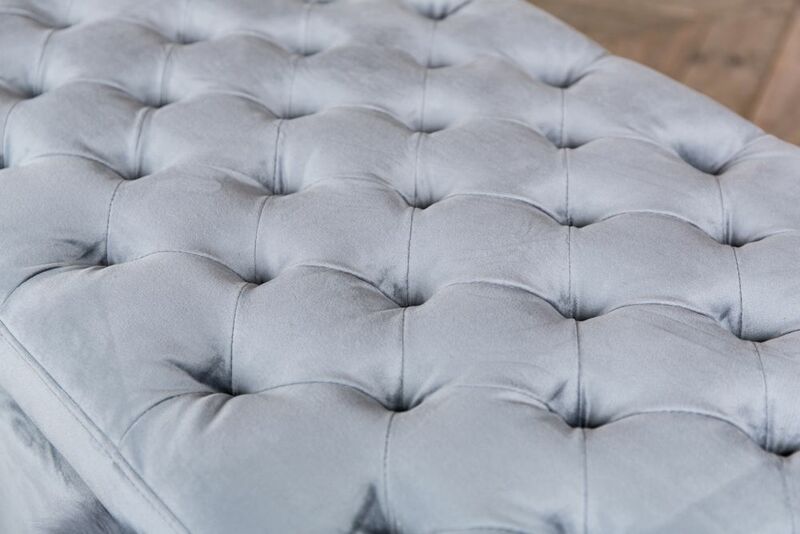 It has luxury quilted padding to the top and sides, decorative metal handles, and slow-close hinges. The ample storage space inside is perfect for storing cushions, blankets and bedding. 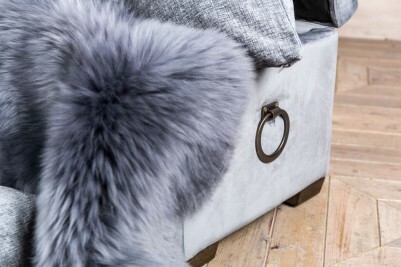 The ‘Valance’ would look fantastic at the foot of a bed, or in a hallway or living room. 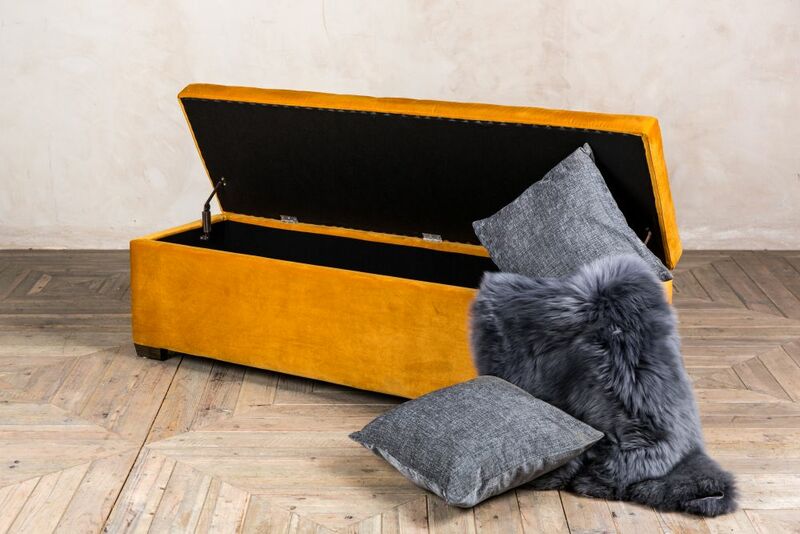 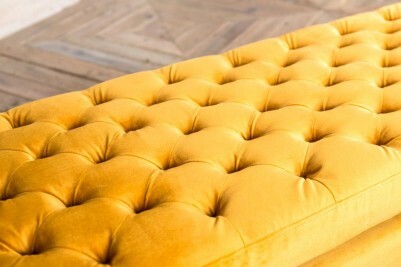 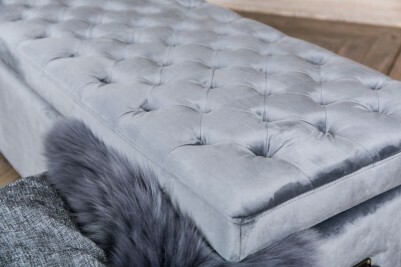 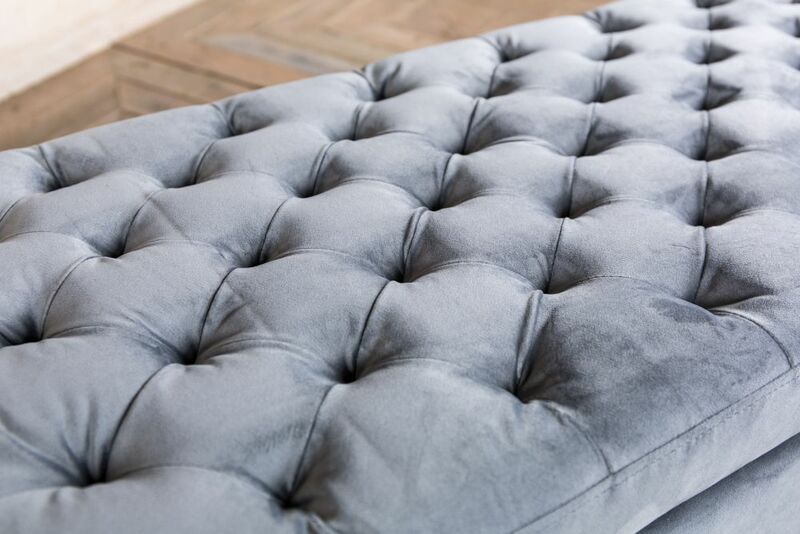 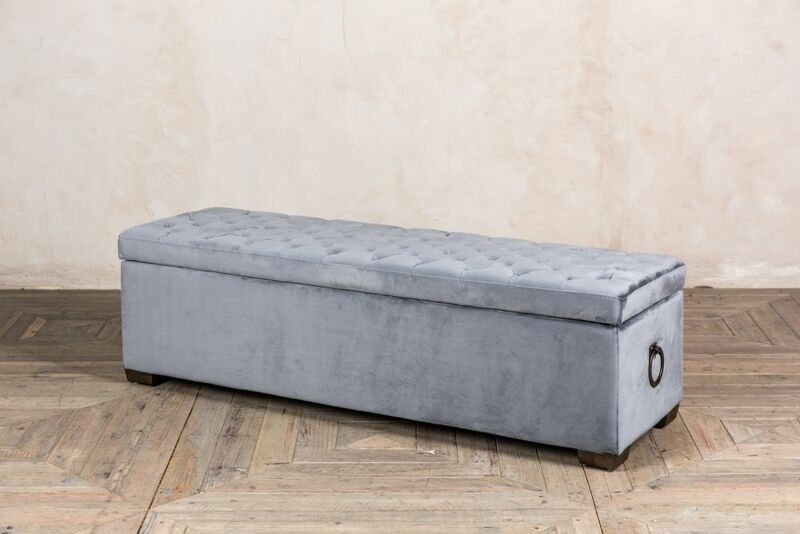 The padded top makes the blanket box ideal for use as extra seating. 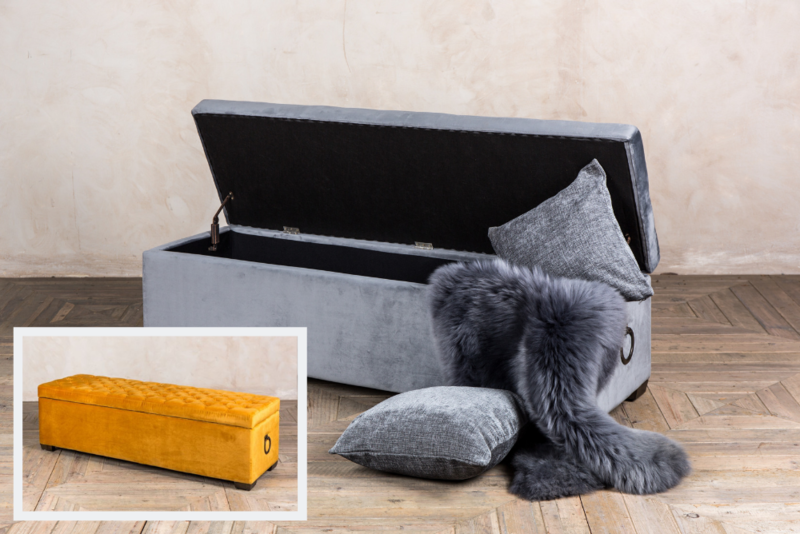 Please note that other items pictured are not included in the price.